Former creative consultant, graphic designer and photographer. I now specialise in sourcing and selling works of art in all mediums including watercolour, silkscreens, lithographs, etchings and linocuts as well as a multitude of other interesting visual items! 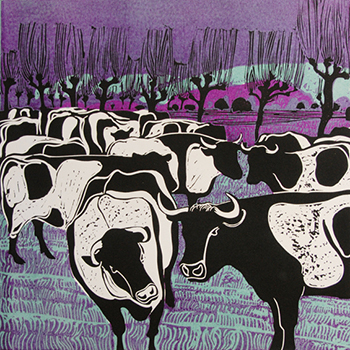 I have a special interest in 20th century printmakers from the Kent, Sussex and Suffolk areas including Trevor Kemp, Edward Hughes, Sheila Robinson, Bernard Cheese, Andrew Holmes, Ilana Richardson, Richard Bawden and Robert Tavener to name a few. I am constantly looking for more items to add to my collection and hope you may find something in my online gallery that will enhance your walls for years to come. Please feel free to contact me if you are searching for a particular artist or work you are finding hard to acquire.